Sacramento’s #1 Gaming and Geek Culture Podcast Videogame BANG! 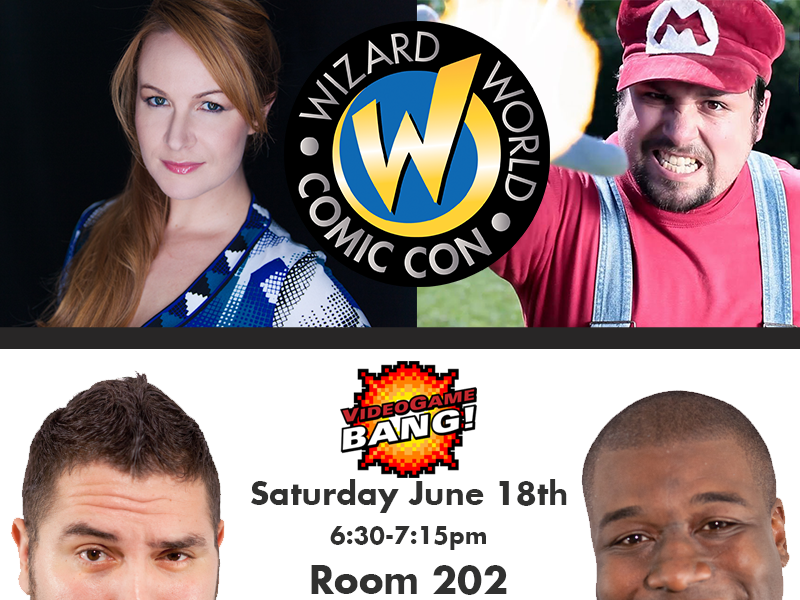 is back at Sacramento Wizard World and we are bigger and better than ever with two very special guests! Cory and Aaron are joined by renowned author of The Holder’s Dominion Genese Davis and creator and star of the YouTube series: Stupid Mario World, Rich Alvarez. This is not your ordinary live podcast, because this one makes YOU the star. Do you think Overwatch is Game of the Year? Are you sick and tired of overpriced DLC? Whatever you want to talk about is fair game in this town hall style panel where GREAT QUESTIONS win you GREAT PRIZES. Show the hardest working podcast in Sacramento some love, this is not the panel you want to miss!